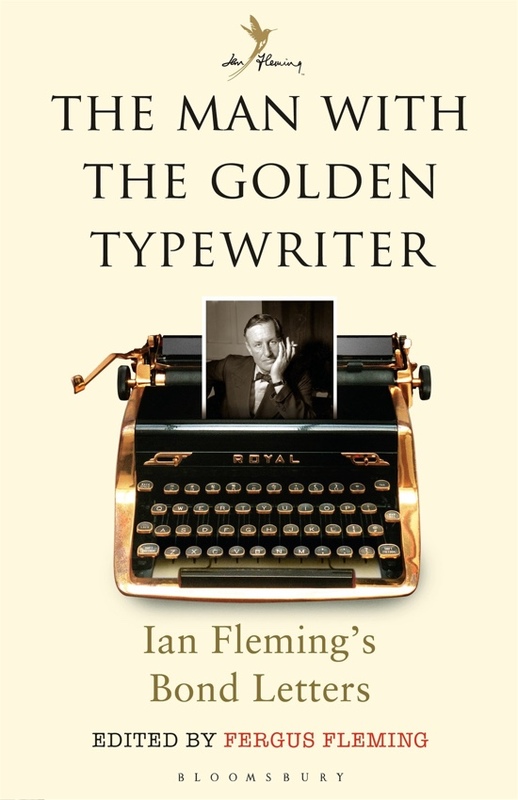 Nicholas Lezard reviewed Fergus Fleming's The Man With the Golden Typewriter: Ian Fleming's Bond Letters for the British newspaper the Guardian. Yes, he had a gold-plated typewriter, which he bought to celebrate the completion of Casino Royale, the first James Bond novel. “His literary acquaintances considered it the height of vulgarity,” writes Fergus Fleming, his nephew. Now, I like to think I know a little bit more about Bond and Ian Fleming than the average reader, because I was once honoured to be asked to write the introduction to the Penguin Modern Classics edition of what they called the Blofeld Trilogy – the trio of novels that feature the fearsome head of Spectre. But I wish this book had been around before I’d started: it gives a more rounded – and sympathetic – portrait of Fleming than I gave. For one thing, he was nicer than I had been led to believe. Even those who rejected Paul Johnson’s famous line about the Bond books being “snobbery with violence” allowed it to seep into their judgments about Fleming’s character to some degree. The line wouldn’t have stuck if there hadn’t been at least a grain of truth in it. One of an author’s guarantees of good character is the way he or she writes back to members of the public who have troubled to write to him or her. Even though the 1950s and early 60s may have been a more gentle time, he still took pains, on the evidence assembled here, to reply with courtesy and warmth, even when being chided for being one of the chief symptoms of the moral decay gnawing at the heart of the country.